Today, we’ve rounded up five best wireless gamepads that are currently available on Paytm Mall on discount. The products we’ve listed down below are from brands like Sony, Microsoft and more. The evolution of gaming has been tremendous as the advancement in technology made the gaming experience better than ever. The gamepads have always been the most crucial part of the change. 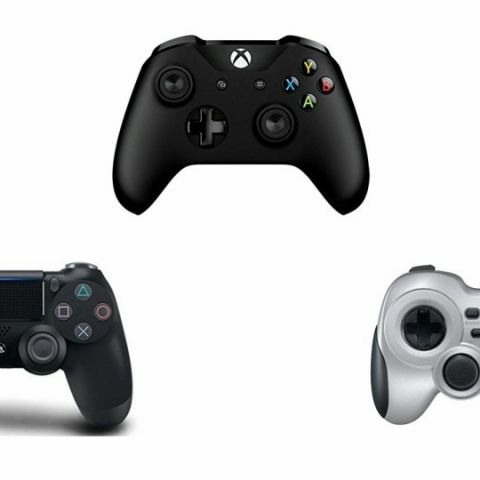 Today, we have some of the best cashback deals of Paytm Mall on gaming controllers that are from brands like Sony, Microsoft and more. The Sony Dualshock 4 Wireless Gamepad comes with a USB adaptor that can be connected to your PC and Mac. The controller features a built-in speaker to enhance the gaming experience . It also has an integrated light bar that glows in different colors depending on game actions. Click here to buy. The Logitech F710 features a 2.4GHz wireless connection. The controller comes with dual vibration motors and is compatible with consoles and PCs. The gamepad also works with Sony Android TV’s, which lets you can surf the internet, play games, control video playback and more. Click here to buy. The Microsoft Wireless Controller comes with Bluetooth technology and features a 3.5mm stereo headset jack. The controller is also compatible with PCs and Tablets. Click here to buy. The T3 Wireless 3.0 Gamepad is compatible with Android smartphones and tablets. The controller requires no software installation and can be connected to your smartphone directly via Bluetooth. It has a built-in 500mAh battery and smart power sleeping mode, which helps with batery efficiently. Click here to buy.